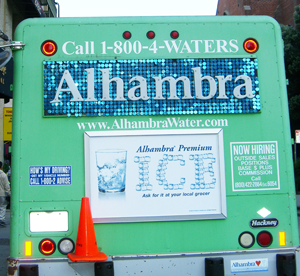 I have always loved the design for the Alhambra Water truck. 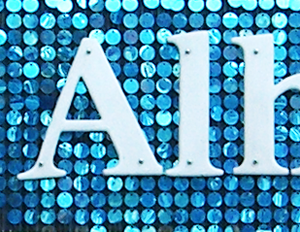 I think it is great that they used such a basic material, giant sequins, to achieve such an elegant design solution. I saw this truck when I was coming into work this morning, and just had to share. His name is Phillip Wayne Thompson, in case anyone out there knows who he is.